Today, HuffPost ran on its front page a story concerning a NY Times interview with Mohamed Morsi, Egypt's new "president," representing the Muslim Brotherhood, and how he is now dictating the terms under which the U.S. can rebuild its relationship with the Muslim world. 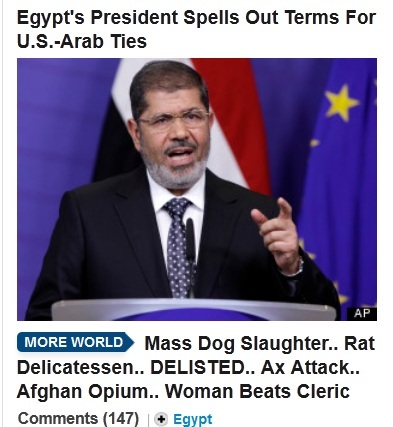 So, did HuffPost call out Morsi's unmitigated arrogance and belligerence, and his attempts to meddle in U.S. elections? Did HuffPost point out that Egypt receives $1.5 billion a year in U.S. military aid, yet couldn't ---- or wouldn't --- put down the recent terrorist attack on our embassy there? Did HuffPost express outrage at the fact that Morsi's general prosecutor wants the U.S. to execute any American who insults Islam? Did HuffPost go on a rant about how Egypt is allowing Christians to be crucified, gays to be murdered, and women to be oppressed? That benevolent headline leads to this story page, which only contains an excerpt of the NY Times' article. That's it. No HuffPost editorializing, none of its lie-based accusations, no incitement of hate against this man, nothing. 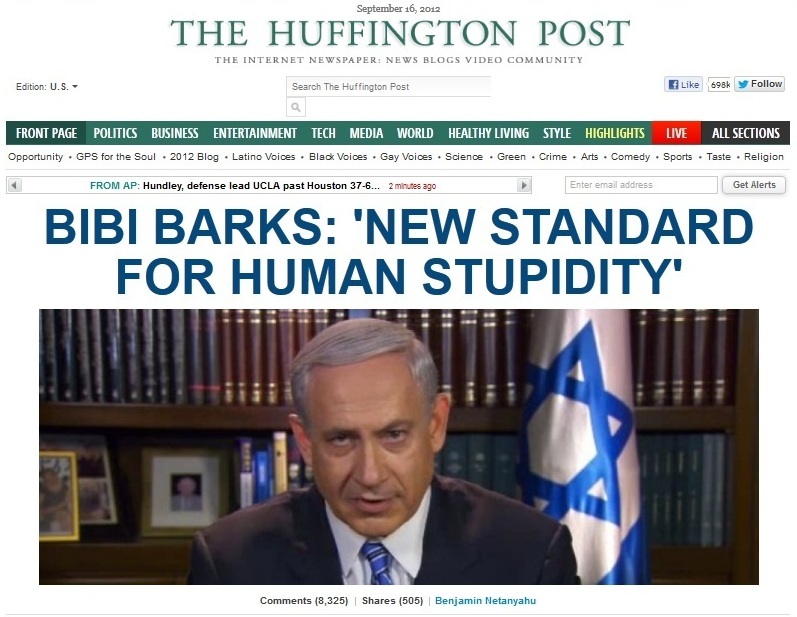 This is one more example of why militant Islamists around the world love HuffPost. 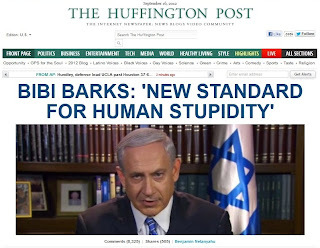 And this is one more reason why we contend HuffPost is the West's #1 global facilitator of the cyber-jihad against Jews, Israel and the U.S. military. Will any "journalist" ever hold Arianna Huffington --- Editor In Chief of the world's #1 most-read online "newspaper" --- to account for her incitement, lies and bias?